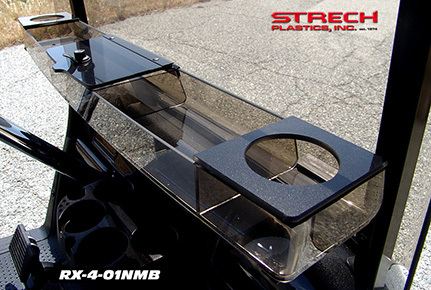 Our classic golf cart dash trays come in four finishes. They have two large drink holders with 3 compartments and one that locks. These make for easy access to your golfing accessories.